The Working Girl's Shoe Closet: Oh Joy! HeelsUp! I’ve had a KER A ZEE week! Driving from LA to San Diego for my 9 to 5, presenting at a State Conference, having a project at City Commission the next morning has left this Working Girl pooped. Then, I met with sweetie pie fashion correspondent Carolina Davalos last night to talk shop. After two delicious margaritas at my favorite local margarita stop, I came home to the best present I could have asked for this week. 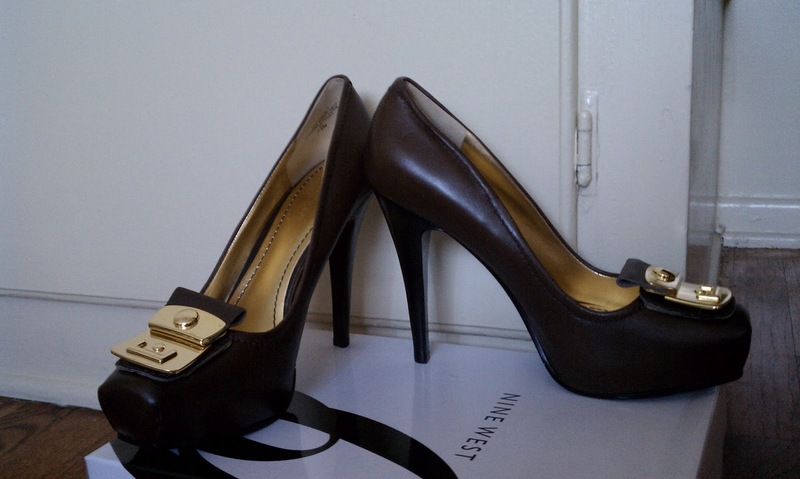 Mr. Postman had brought me my long desired 'HeelsUp' by Nine West. Getting these little beauties was challenging to say the least. Having been featured in just about EVERY September issue, even the pre-order on the Nine West website was sold out. In trying to resolve this matter with customer service, I got an automated response that was “less than satisfactory.” Now, you know that it’s not pretty when someone comes between a regular girl and her shoes…. Now, picture me. Mmmm hmmm, I’ll let you fill in the rest of that. 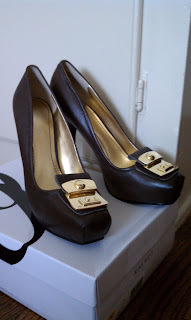 ;) My sweet Twitter friend, @nluvwshoes, who also just joined the blogosphere with Shoe-Radar.com, came to my rescue. We tweeted our disappointment and got on the Nine West radar. Long story short, I got in contact with an actual human being. 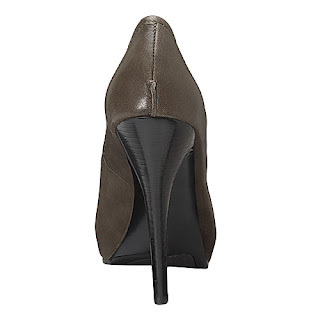 Apparently, Nine West had no clue how wildly popular these would be. I had to wait a bit before placing my pre-order…. BUT THEY ARE FINALLY HERE! So, were they worth the long wait and all the drama? Oh. My. God. YES. Emphatically YES! They are so pretty! As tired as I was after this insane week, I tore the box open to try them on immediately. I walked all over my apartment at midnight as I got ready for bed wearing them. They are so comfortable. The leather is so incredibly supple. And they fit like a glove, snug but not tight so they don’t slip off when you take a step. The attention to details on these pumps really is what makes this pair so special. The gold buckle is so shiny and elegant. The square toe makes the classic pump a little more modern but still sophisticated. 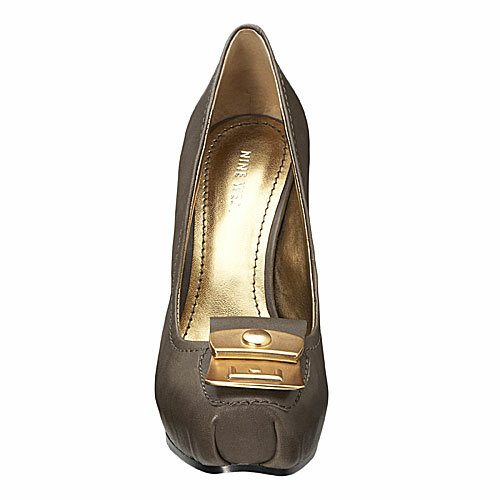 The way that the leather is folded around the corners of the toe is done impeccably. And there’s a little seam on the back heel that just gives it such a great character and uniqueness. @Shoe-Radar.com, I was able to connect with them because of YOU!!! To be clear, they weren't free, but I got a 25% discount due to the "challenge" of getting some help ordering them. 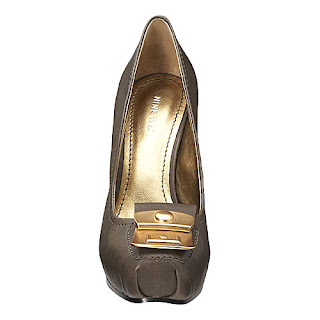 I LOOOOOOVE how the gold buckle adds instant pizzazz to these shoes. These shoes are KILLER. And, they look to be very versatile as well, with wearing them casually with jeans, or sexing them up with a dress. Love these! So cute. I like th gold detailing. Gives a splash of class! Lindos! I heard the word "shoes" at the #LALB lunch and had to come visit! @Jennifer, you can get a pair too! They're STILL available! They did another production run! :) yay! At first glance I wasn't crazy about the brown...tone is just not rich enough for me. BUT THE BLACK! High class luxury appeal and you CAN never go wrong with Nine West....they own about 75% of my shoe closet lol!